The flaws of NJ Bail Reform continue to set offenders up for failure. Eliminating monetary commercial bail in favor of unaccountable pretrial release lacks the necessary accountability that acted as a deterrent and required family and financial commitment for release. Without these measures in place, defendants are reoffending, failing to appear, and unsurprisingly violating their pretrial release conditions. On the other hand, preventative detention, which allows judges to deny bail to the most violent offenders, is the “tough on crime” option for judges to detain – without bail – the most violent and serious of offenders (or at least that’s what voters were led to believe in New Jersey). With no other option under the Judiciary and Attorney General guidelines, judges are now using preventative detention to hold offenders for a variety of offenses considered “non-violent” crimes under NJ Bail Reform. The problem is…when your only options are unaccountable pretrial release or preventative detention, you run the risk of setting offenders up for failure. Yvette Wilson, 55 – another clear example of judicial overreach resulting from a pretrail services division that is accountable for nothing – yet monitors thousands now under NJ Bail Reform. Wilson was charged this past Sunday with possession of heroin with intent to distribute and possession of hypodermic needles – her 3rd offense in 2017. Wilson was arrested after police received a tip which later led to the discovery of 10 decks of heroin and 37 hypodermic needles in her possession. In January, Wilson was arrested outside the PATH station with heroin and marijuana. She was released and FREE TO GO under NJ Bail Reform after the Arnold Foundation’s “Pretrial Risk Assessment” tool determined he was not a danger to the community or a flight risk and therefore should not be subject to any accountable release – just a “promise” to appear. In August, Wilson was arrested with 24 bags of heroin. Once again, she was released and FREE TO GO. By the 3rd arrest, Wilson had failed to appear on the charges. Does it seem fair and reasonable that preventative detention is used when the courts own pretrial system fails? Judges are now using preventative detention as a backstop when pretrial services fails. A class action lawsuit has already been filed relating to pretrial release and the violation of 4th and 8th amendment rights. We certainly are not surprised. A Jersey City woman was arrested with heroin outside the Journal Square PATH station for the third time this year, Port Authority police said. 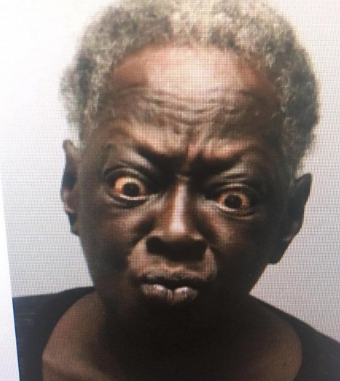 Yvette Wilson, 55, of Bergen Avenue, was arrested around 4 p.m. Sunday with 10 decks of heroin and 37 hypodermic needles after police received a tip she was selling drugs on the plaza level of the transportation hub, Port Authority police spokesman Joe Pentangelo said. She was charged with possession of heroin with intent to distribute, possession of hypodermic needles, and bail jumping. Police also determined Wilson has three open warrants in Jersey City totaling $8,650, Pentangelo said. Wilson made her first appearance on the charges this afternoon in Criminal Justice Reform Court in Jersey City via video link from Hudson County jail in Kearny.